1978. 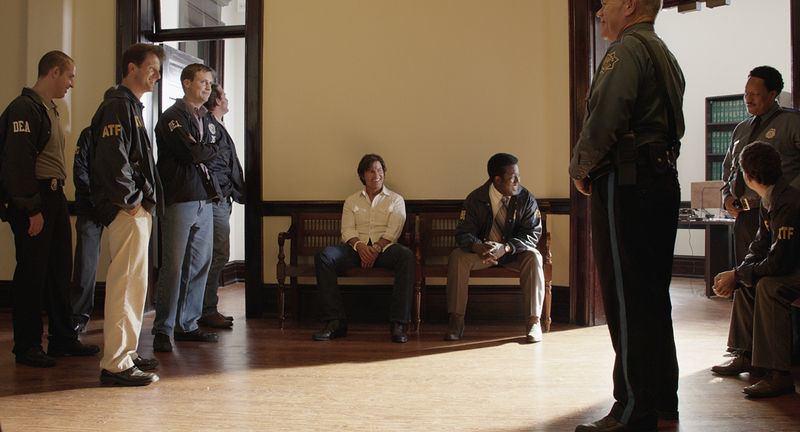 Barry Seal, an airline pilot, is recruited by the CIA to fly special transport missions in Central America. Initially it is a matter of information-for-supplies but ultimately he ends up being a drug transporter for Pablo Escobar and the Medellin Cartel and supplying anti-Communist groups, including the Nicaraguan Contras, with weapons. Barry Seal was just an ordinary pilot who worked for TWA before he was recruited by the CIA in 1978. His work in South America eventually caught the eye of the Medellín Cartel, associated with Pablo Escobar, who needed a man with his skill set. Barry became a drug trafficker, gun smuggler and money launderer. Soon acquiring the title, 'The gringo that always delivers'. Something is so very familiar about this movie. It seems director Doug Liman is doing his best Oliver Stone impression. Fueled with a little big of mania, Tom Cruise plays Barry Seal, the former TWA pilot turned drug and gun smuggler turned family man. I put that last because, let's be honest, we saw so little of the family in context with his life. And let's address that right now. For someone who had a wife and three kids...there is a logistical flaw in his puttering around with famous drug kingpins. Speaking of which, Barry was the Forrest Gump of the drug world. Stumbling amongst the famous characters in life that we remember from this era. He's a simpleton from the south too. Well, kinda. He gets in WAY over his head and spirals into working for everyone as a complete innocent. But he's not. The most aggravating thing about this movie IS that he doesn't seem to have a moral compass. He's muling in so much cocaine and getting so much money for it, it's hard not to hate the guy for ruining lives. But we don't see that part. We see a great scam. Or at least that's what it seems like. Crazy characters who bounce through the buoyant cocaine 80's. The end doesn't justify the means. AND, to make matters worse, a key character who is close to the family meets a tragic end, and is forgotten by the last reel. That is ridiculously lazy. Maybe honest, but confusing. I applaud the cojones for Cruise to step out of a little comfort zone, but there is something less endearing when he really gets despicable. Also, why does this movie feel familiar??? That nagging thought may eat at other viewers. Speaking of which, was this thing shot on VHS. It's looks video-terrible. If you ask anyone to list the top 10 film actors, chance is that "Tom Cruise" would make many people's lists. He's in everything isn't he? Well, actually, no. Looking at his IMDb history, he's only averaged just over a movie per year for several years. I guess he's just traditionally made a big impact with the films he's done. This all rather changed in the last year with his offerings of the rather lacklustre "Jack Reacher: Never Go Back" (FFF) and the pretty dreadful "The Mummy" (Ff) as one of this summer's big blockbuster disappointments. 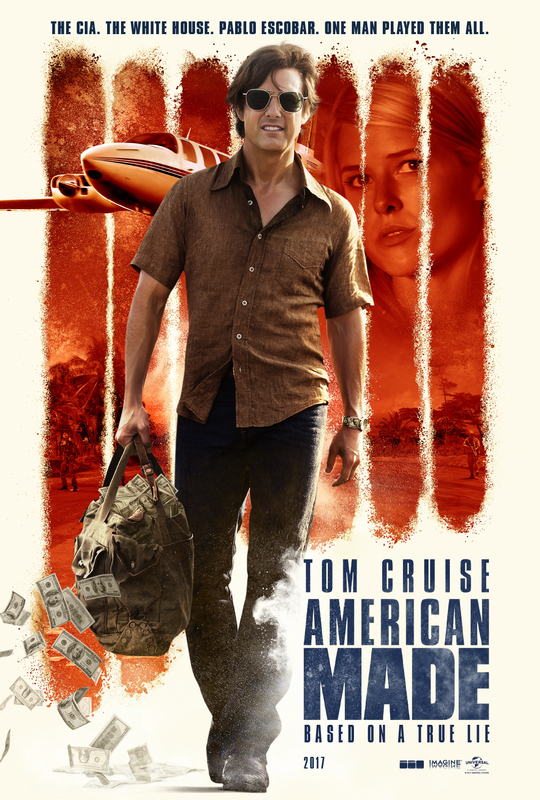 So Thomas Cruise Mapother IV was sorely in need of a upward turn and fortunately "American Made" delivers in spades. (For the full graphical review of the film please visit http://bob- the- movie-man.com. Thanks.) Cruise is on top form in a based-on-fact thriller that overcomes its familiar trappings with audacious details and flat-out pacing.